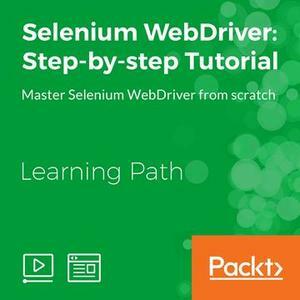 Selenium Webdriver Step By Step Tutorial | Free eBooks Download - EBOOKEE! Posted on 2017-11-09, by everest555. Selenium WebDriver is a tool that automates web application testing, and has grown to be one of the foremost tools in the Selenium suite. It can be used along with a variety of programming languages to write Selenium test cases for web applications. In this tutorial series, we start by getting up and running with the WebDriver, and then exploring its API. We then look at how to locate web elements, and then finally look at the various ways in which to access these web elements and test them by writing appropriate test cases. No comments for "Selenium Webdriver Step By Step Tutorial".